Newspapers said they wanted to protect the print product, but they were raring to go when it came to experimental online news approaches in the early '80s. "We believe that this project will lead to enhancements in the content of the magazine. It will keep us in closer touch with the interests of our readers and will help us learn the best ways to use electronic communications in conjunction with our traditional print publication. We'll let you know about new developments in this area as soon as we can." In 1969, The New York Times released its first online article database, which it called the New York Times Information Bank, or InfoBank. The tool offered access to stories from both the complete Times collection and selected archive materials from 60 other publications. "The Information Bank has been developed with the end user specifically in mind; every effort has been made to bridge the gap between the world of automated information systems and the student, business executive, government official or other information seeker," wrote Sally Bachelder, the marketing representative of the database product, in an academic journal article. If you ever wondered by the Times' online database was so much better than every other newspaper's, this is why. 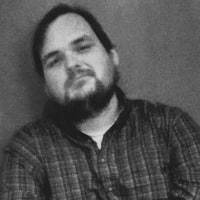 In 1970, a computer terminal in Columbia, South Carolina, sent an Associated Press story to another terminal in Atlanta. This, according to Poynter, was the first time a computer terminal was used to write, edit, and publish a story in full. In 1974, the British Broadcasting Service started Ceefax, the first teletext-based information service to go into wide use. 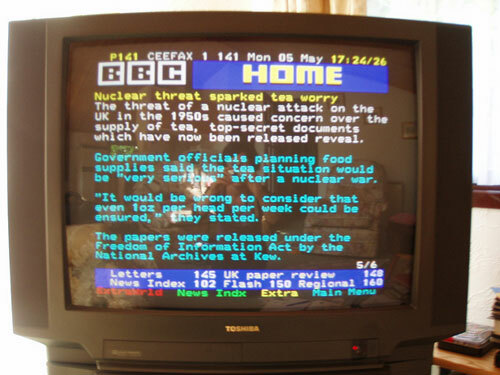 This service, which was shown on television during the dead of night and accessible on British TV sets, proved popular enough that competing television networks created their own versions of Ceefax. It was in constant operation for nearly 40 years, until the shutoff of BBC's analog television signal in 2012. Here was the final broadcast. Also in 1974, Dow Jones launched an online information service, built around its Wall Street Journal, that was designed specifically for investors, rather than researchers. The service, accordingly, didn't have a lot of archival material, and instead was designed to offer up-to-the-minute financial news—news that cost a pretty penny and was sold on a contract basis to investors. In 1993, AOL released its RAINMAN markup language for building screens and content in its proprietary interface. This tool, created by two of AOL's cofounders, effectively was one of the first content management systems that went into wide use—in other words, the WordPress of the '90s. Not that a lot of people knew about it way back when—heavily moderated by non-disclosure agreements, it only really became publicly known after a community of AOL hackers came about. "We do think that it provides us with an excellent means to supplement the daily newspaper, by providing readers with updated information, after they receive their paper, throughout the day, so that any time during the day that a reader wants the latest story, the latest bit of information on a particular item, all they have to do is dial into the CompuServe service." — Bob Johnson, vice president of the Columbus Dispatch, discussing (in a 1980 interview) why he felt the online version of the Dispatch, which was being tested on CompuServe that year, wouldn't compete with the print product. The Dispatch was the first newspaper to go online—partly a hometown-pride play on the part of the Columbus, Ohio-based CompuServe—and it was far from the last. The Columbus Dispatch's early experiments with CompuServe were no accident. They came about in part to some savvy discussions on the part of CompuServe's cofounder and early CEO, Jeff Wilkins. The firm, which got its start in 1969 as a computer time-sharing firm targeted at large companies, slowly evolved into a consumer-targeted service that offered different kinds of online software to end users. One of those software ideas was searchable news, something that Wilkins championed as a larger concept. In an interview for the podcast Conquering Columbus Wilkins noted that the firm wanted to get the Associated Press, which had previously only been available to the public through dead trees, onto its service. Wilkins first approached the Dispatch, talking them into giving the online service a test feed to try things out. Eventually, Wilkins reached out to the Associated Press directly, traveling to New York to show the concept to AP officials, who then brought the idea in front of the board of the American Newspaper Publishers Association (ANPA). The board, which got a gander of the concept at a meeting in Hawaii, proved so intrigued by what they were shown that members of the board, including Washington Post publisher Katharine Graham and New York Times publisher Arthur Sulzberger, decided to made a special trip to Columbus to meet with CompuServe in person. Wilkins, who had initially wanted to pay for a direct AP feed, managed to flip the script: He asked for the association to let him have access to the feeds of 10 large papers for a test, in exchange for $250,000 in free advertising from each paper. ANPA not only agreed to that deal, but said it would be willing to get each of its member papers on board as part of an ongoing test of the service—one that, in the end, would last approximately two years. "So, we ended up with every big newspaper in the United States," he said in the podcast. It may have been the greatest negotiation in business history. Put in a room with the most powerful publishers in the newspaper industry, CompuServe's executives managed to convince the AP's members to give away their copy for free—all by portraying it as an experiment. "Oh, it was beyond our wildest dreams, all I could do to stop from keep from jumping up and down," he added. The test brought out quite a bit of data about online demographics and reading habits. Most users were males in their thirties, with decent incomes. They logged on for email, news, shopping, gaming, banking, and so on. But newspaper publishers weren't as interested in these things as they were in assurances that online services were no threat to newspapers and their advertising base. They got that assurance from AP spokesman Larry Blasko, who told them, "There is no danger to the American newspaper industry from electronic delivery of information to the home." Newspapers had survived radio. They had survived television. According to ANPA, they would survive computer networks. According to the passage of time and highlighted by the recent decline in print advertising revenue at the New York Times, that may have been a bad bet. The amount that the newspaper company Knight-Ridder spent on Viewtron over its three-year lifespan. The initiative, which was an effort to bring a Ceefax-style videotex system to the United States, failed pretty hard, garnering just 20,000 subscribers at a time when other online networks were seeing massive growth, and failing to go national. Its model was a clear inspiration for AOL and Prodigy, however. Oh, and WebTV. As we all know about the modern internet, the news industry's relationship with the series of tubes is mutually beneficial. Sure, the news wires throw out a bunch of stuff on the internet, but the internet often is a great source for news fodder. 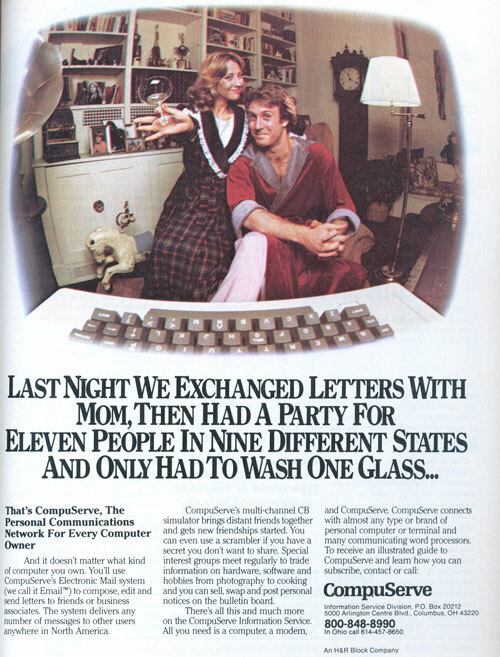 And back in 1983, CompuServe gave back to the news wires in a big way. One of the service's earliest prominent users, Christopher Dunn (or CHRISDOS), had met the love of his life, Pamela Jensen (or Zebra3), through the service's chat lines, known at the time as CB Simulator. Eventually, their story got picked up by the Chicago Tribune, which created a bit of a media sensation. The public was introduced by CHRISDOS and Zebra3 to the idea of online dating, and the couple ended up getting married, even showing up on Donahue at one point. "If it weren't for the way we met, I think we could just be any other 25-years-married couple," Dunn told the Tribune in a 2008 retrospective story. "I've always adored her. She adores me. It's very easy to love my wife, I guess that's just the way I am." It was just the first of many viral news stories that the online news machine would swallow up and turn into content. But it may be perhaps one of the most heartwarming.